Since no one has yet... I'll go ahead and do it. 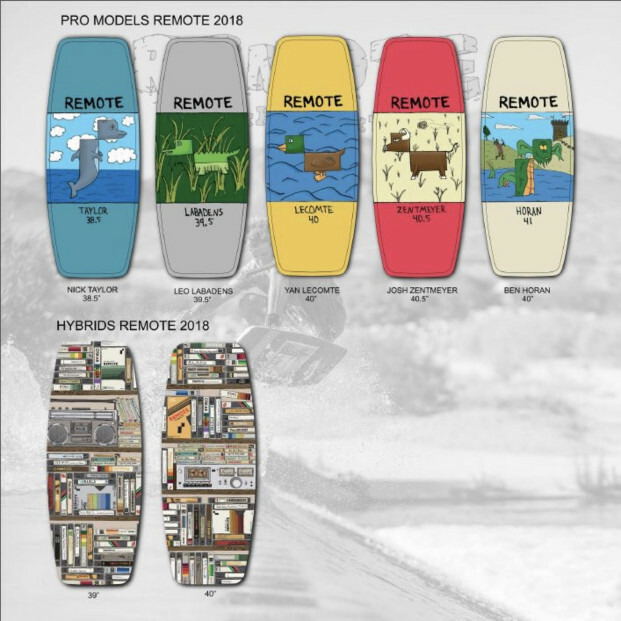 Check out their 2018 graphics! Reminds me of the roadkill series kinda. I like them. it has seriously bugged me since the day Nick signed with Remote they haven't filled the 39.0 slot. They have always had solid riders, but now more than ever, sign Coco Mendez and give him the 39", the OCD in me begs you REMOTE!! where are these being made these days? i need that labadens...gator is perfect. i just hope that batch wont have the same as my 2017. which a chunk of wood just fell off. sad to say I havent got any clear answers from the remote team. Active should have them sometime this month, according to their instagram.